Any marketer can feel a bit like Katniss Everdeen of the Hunger Games during the holiday season – maneuvering from one promotional battle to the next trying to keep emails alive and out of spam folders. It’s an email marketing game and only those well-equipped will survive. Similar to how Katniss Everdeen puts on a façade to entice her sponsors, email marketers need to adopt a mix of eye-catching graphics and personalized content to make a lasting impression. Here are five tips from Campaigner to help email marketers channel their inner Katniss and emerge the arena as a victor. Fail-Safe Precautions: With her life on the line, Katniss never makes the same mistake twice. Taking fail-safe sending precautions prevents the same from occurring in your email marketing campaigns. You’ll be sure to ruin your chances with customers if you spam them with emails they can’t open. With more and more consumers reading email via smartphones or tables, be sure to implement responsive design (mobile) templates to make your content easy to read and interact with. Otherwise, similar to how the cannon blast signals a tributes demise, you’ll become a victim of the delete button and will leave the email marketing games early. Make an Impression: When you look good, you feel good – right? Similar to how Katniss puts on a façade to entice her sponsors, email marketers need to adopt a mix of eye-catching graphics and personalized content to make a lasting impression. To avoid the dreaded delete button and safely reach your intendeds Inbox, your emails need to be personalized and tailored to your audience’s desires. While this may sound like a complicated and time intensive process, with the help of analytics tools and A/B testing capabilities, you’ll able to easily find the winning formula from the get-go. Be sure to test a variety of factors, including subject lines, calls to actions, graphics, etc. to determine which campaign aligns best with your customers’ preferences and will result in a victory for your brand. Play the Dating Game: While forced together by chance, Peetah eventually won over the heart of Katniss – similarly, email marketers need to turn on their charm and win over the hearts of ISPs to gain entrance into their customers’ elusive inboxes. To do so, be sure to avoid promotional topics in your subject lines and “from” sections – and never come across too needy. Sending timely, targeted emails is a sure-fire way to gain the trust and respect of an ISP, resulting in a second date with the inbox and breaking up with spam. Never give up if those tricky ISPs play hard to get at first – you didn’t see Peetah giving up, did you? Tick Tock. Deception is Coming: Competition is fierce during the holiday season – while the Hunger Games arena is filled with competitors, obstacles and traps, customers are often sent confusing and useless offers during the email marketing games. For example, some marketers may be inclined to try and beat the competition by claiming that their deal is ending in the next 30 minutes, when in reality, it’s available for 24 hours. If you choose to adopt a similar strategy, you’ll surely burn bridges with your customers. No one wants to find out they made a purchasing decision based on scare tactics – loyal customers will stay true to the companies that send honest promotions and realistic offers. Your Email Marketing “Tribute”: Katniss always remains loyal to her family and loved ones, seen in her willingness to volunteer as tribute in place of her sister. You can do the same for your returning customers by implementing a customer loyalty program. An effective program will offer personalized, relevant and targeted discounts to returning customers. Instilling loyalty in your key customers will increase sales and build an effective customer base to reap the rewards time and time again. Combined with email marketing tools like segmentation and A/B split testing, you’ll improve your customer experience, brand loyalty and bottom line results – effectively surpassing the spam folder and entering the inbox. Whether you are a fan of the Hunger Games or not, these tips will help you come out victorious on the email battlefield this holiday season and put the odds forever in your favor! 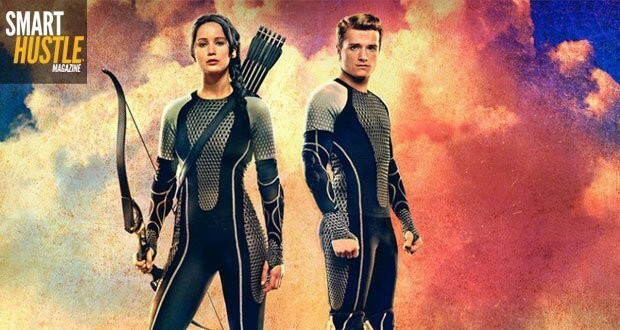 5 #HungerGames Inspired Tips to Keep Your #EmailMarketing Out of the #Spam Folder! Share with us your email marketing tips and how you find victory in your small business in the comments below!